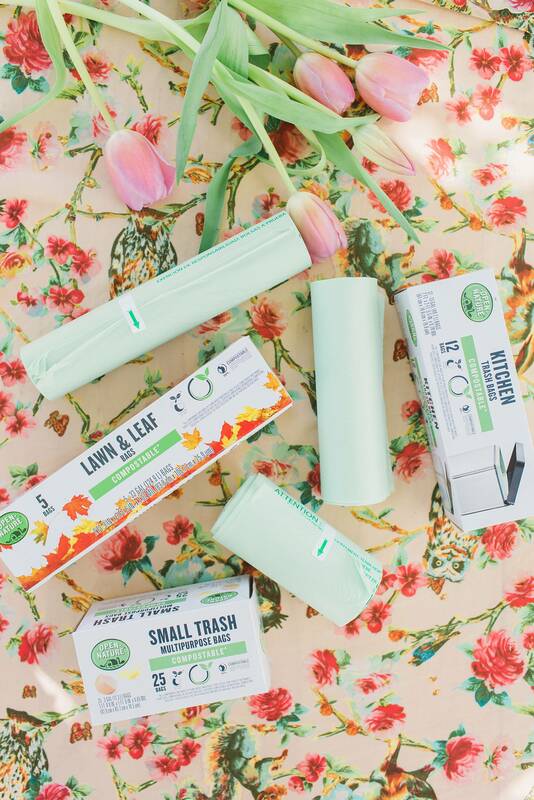 Would you feel better if the products you used and tossed in the trash were compostable and biodegradable? 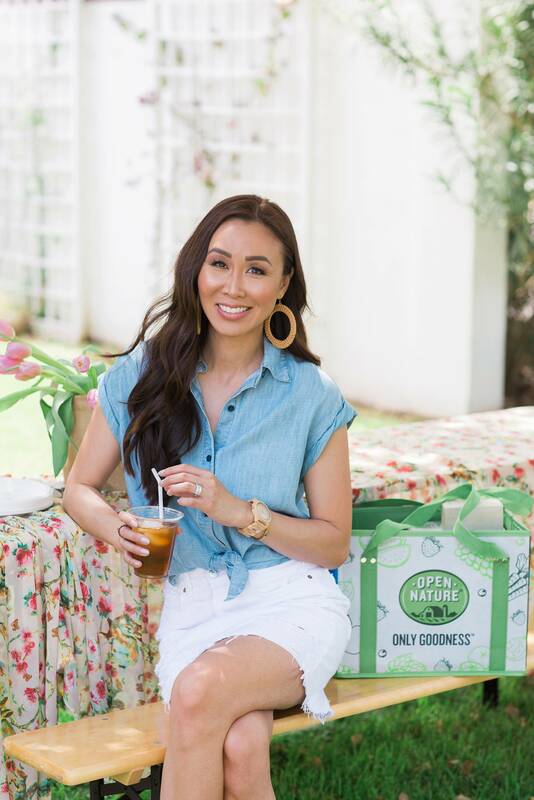 From paper towels, trash bags, cups and coffee pods, even straws and utensils, I’m ecstatic to share with you new Open Nature® products you can find at Safeway that are better for the environment. 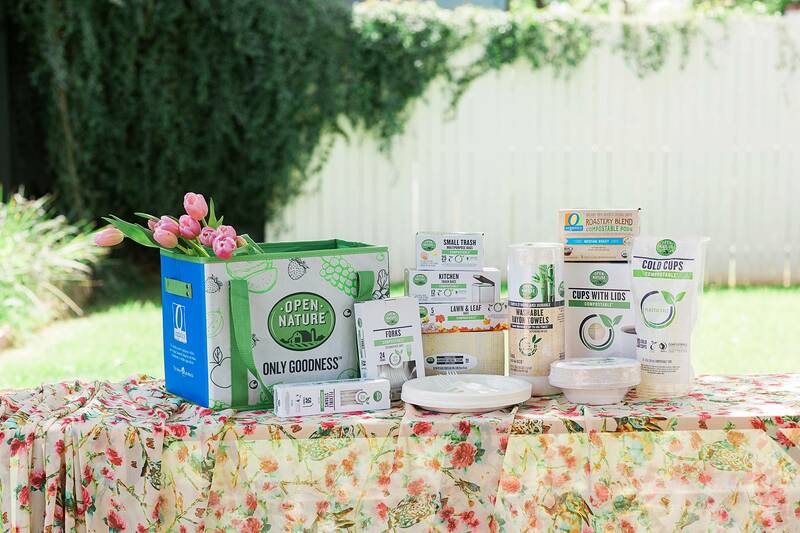 Safeway sent an Open Nature Earth Day Box filled with compostable products. 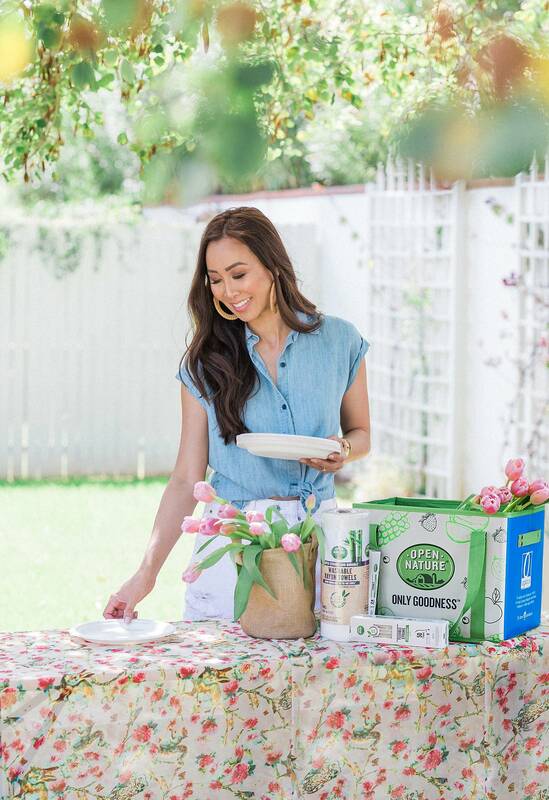 You can host, sip, eat, and live your normal everyday life without sacrificing the products you need to use on a daily basis while changing the way these items are absorbed back into the Earth. Open Nature is exclusively available at Safeway in my area. It’s our local grocery and even though it’s a little further away, we find the extra few blocks worth it; we just love it there. 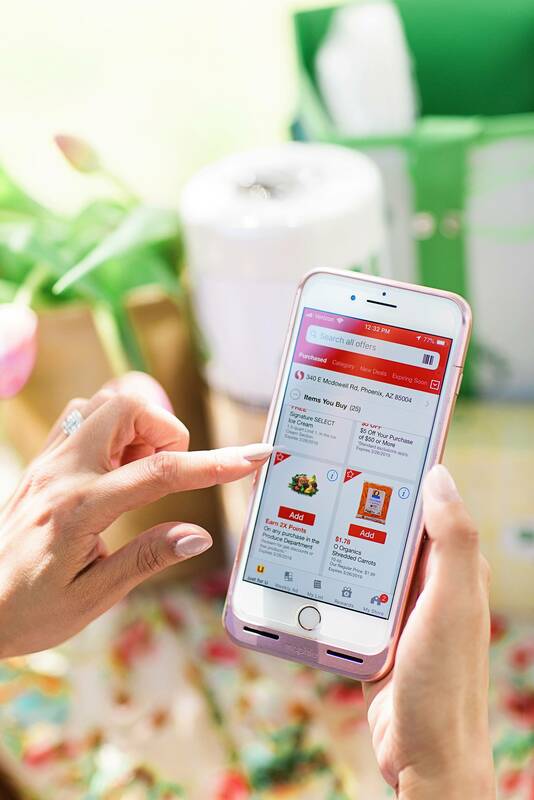 Did you know there’s a mobile app that has current coupons? You add them and pull them up at the register before you check out. 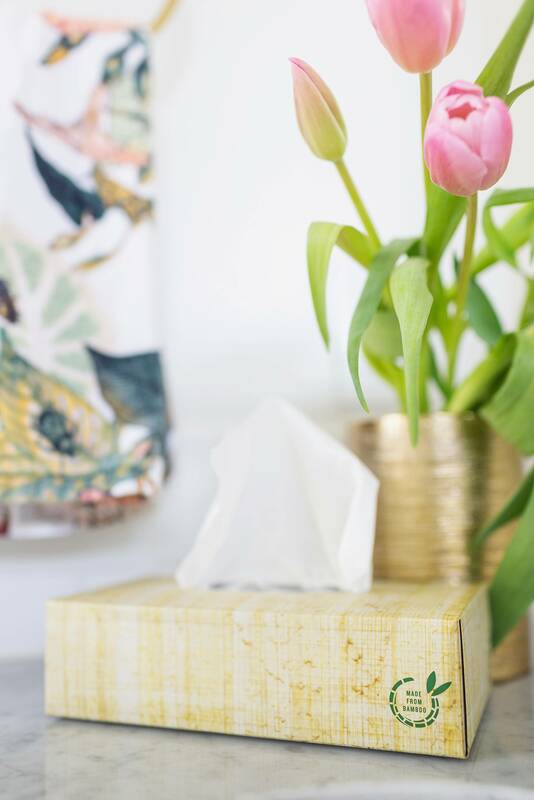 All these products above—straws, trash bags, cutlery, bowls, plates, facial tissue, even washable rayon towels, cold cups, hot cups with lids, and trash bags in several sizes—are environmentally friendly. 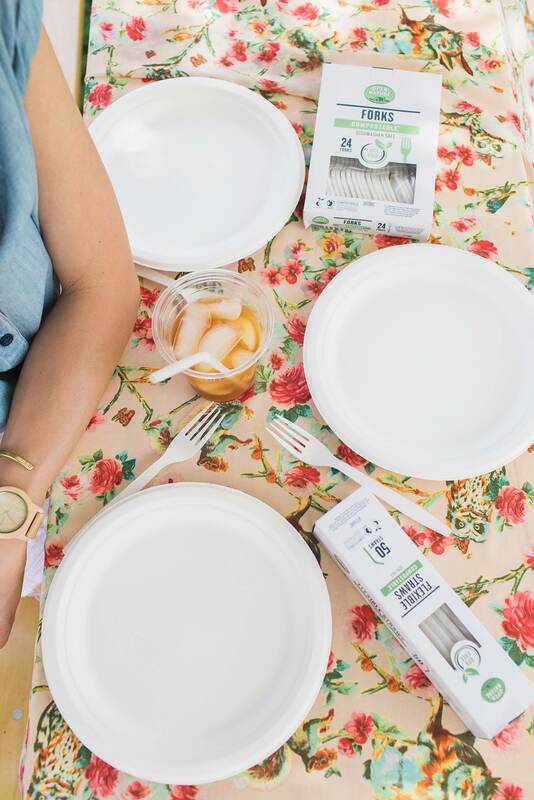 Open Nature compostable items are BPI certified; cold cups are plastic free; the plates, bowls, and hot cups are tree free; and the bamboo items are a great use of resources because bamboo grows and matures 3x quicker than paper items. There are also biodegradable cleaning products that are phosphate free, made by Open Nature—just look for the label on Safeway shelves and you will know they are environmentally friendly. I have to mention the bamboo towels are washable up to 100 times, so you can continue to use them for a long time. 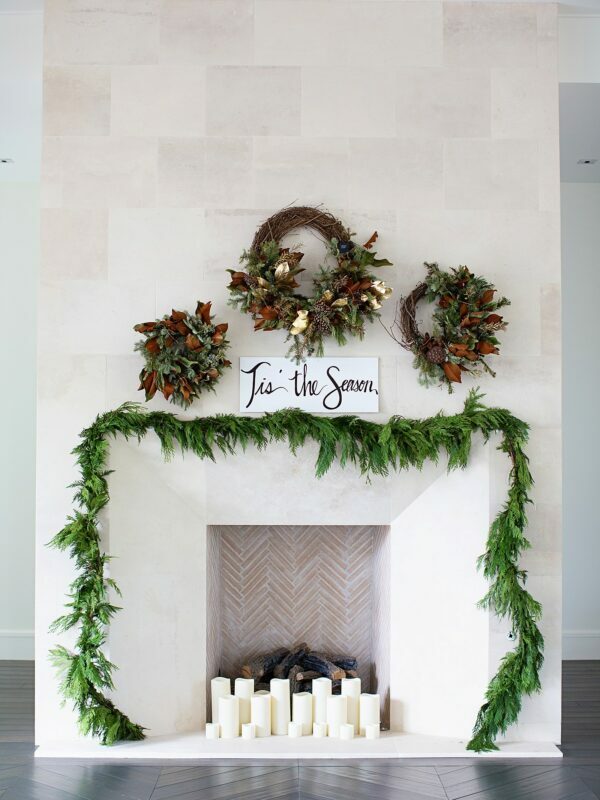 They’re great for those clean ups and at-home cleaners if you like to create your own. 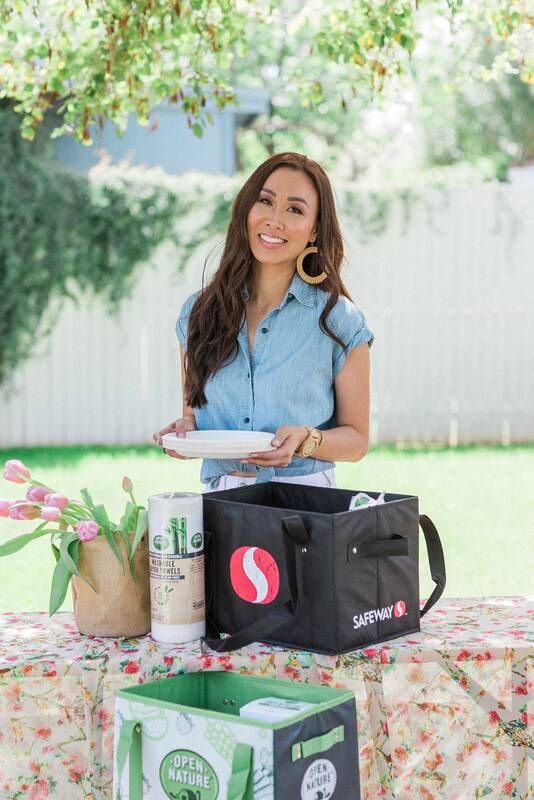 The cutlery, straws, and bags are BPA free, and the 13-gallon trash bags are also compostable at home. 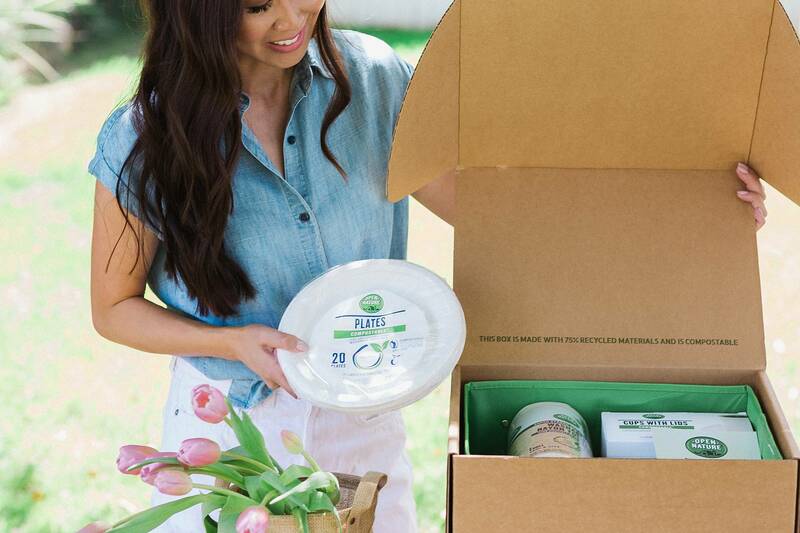 Compostable items* are made from plant based materials. And since they aren’t made from trees, they are better for the environment (you can read more specific disclaimers on the packaging). It really makes you feel better about hosting parties; the cutlery and compostable cups (and the straws) really got me excited. 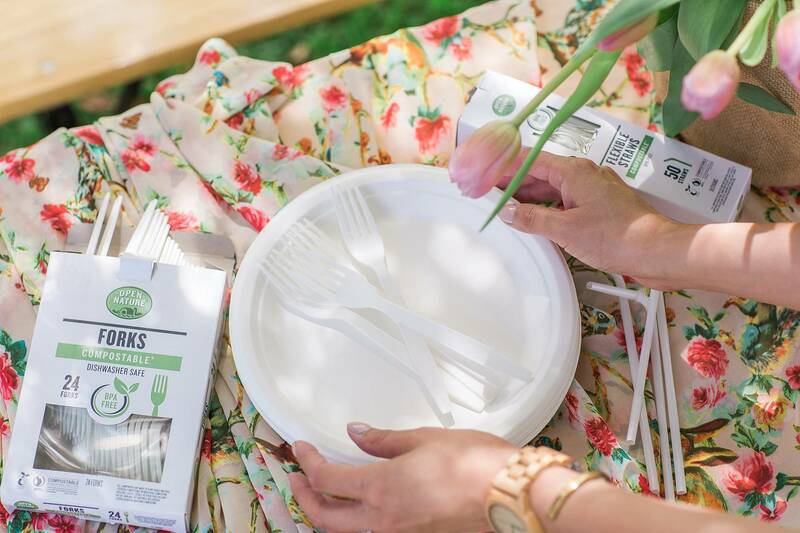 I used the compostable cups recently when I hosted friends and their kids over in the backyard, and I am definitely using these for my Easter get together. 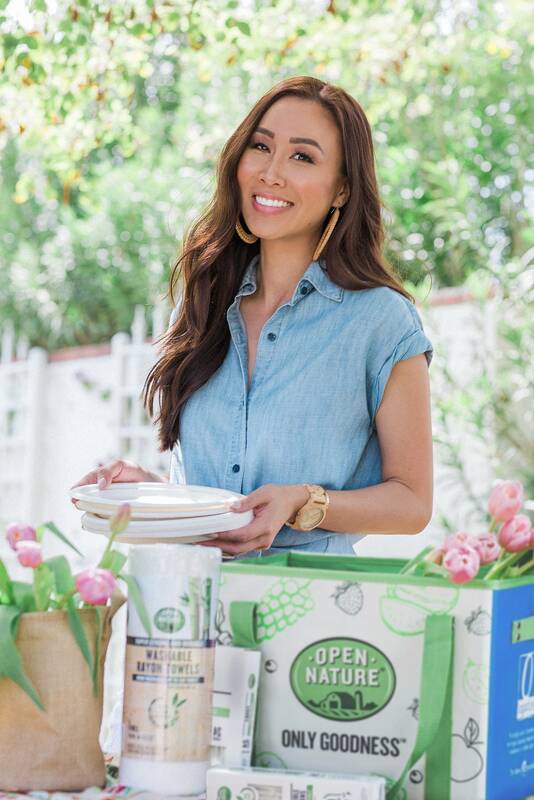 I can clean up after entertaining using the Open Nature Compostable Trash Bags. I just put in the paper plates, utensils, food, cups and straws and know that they will go back into the Earth quicker than plastic—making me feel better about doing my part. 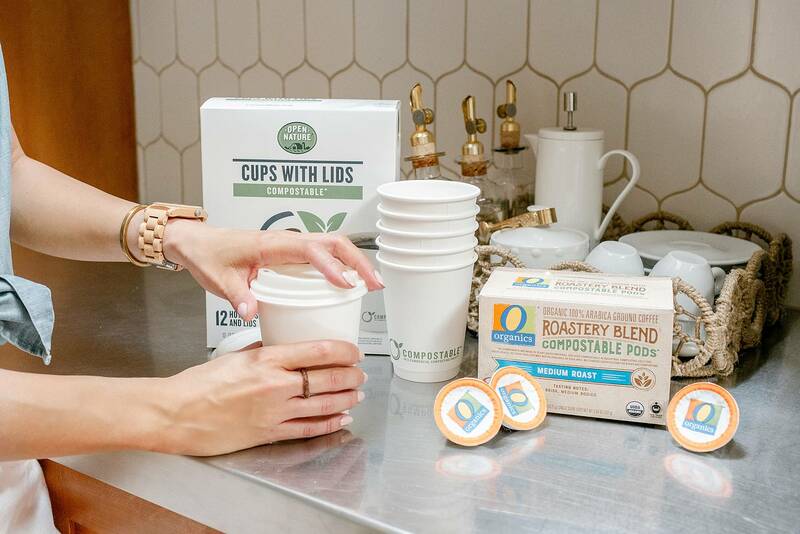 Coffee cups with lids that are compostable are great for sending a friend on their way with a cup of Joe—I love doing that! I’m particularly excited about the Open Nature compostable straws and compostable 12 oz. cold cups. Open Nature is exclusive to Safeway, so make sure to pick some products up and do a swap with your regular household items. You will feel so great that you are putting in the effort to make it Earth Day, every day. *All components are made of plant-based material certified compostable in industrial composting facilities. Check locally, as these facilities may not be available in your area. No current certification for backyard composting.